The day that kids and dentists everywhere have been waiting for has finally come… Happy Halloween! Regardless of whether or not you have a sweet tooth, the conspicuous presence of candy in every store and on doorsteps can be quite tempting. In a country where we are bombarded with sugary sweets year-round, what’s one day a year of excess… right? 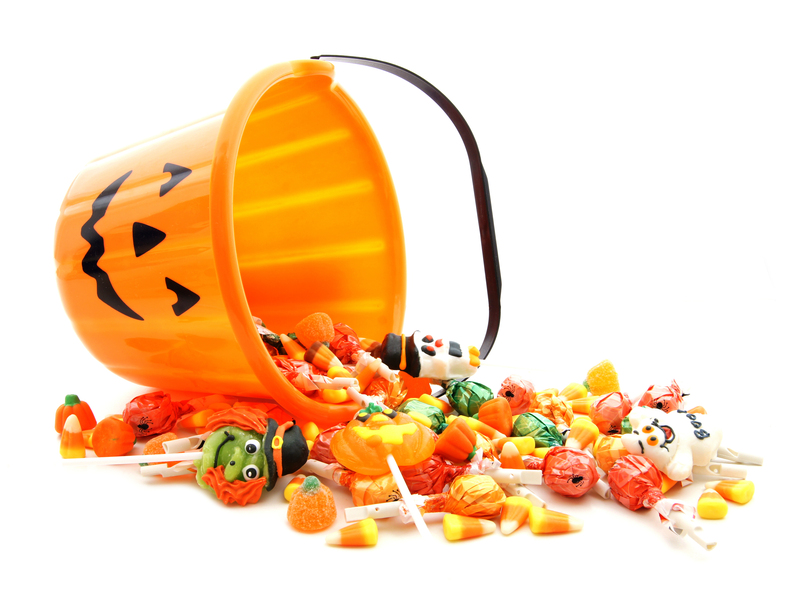 My philosophy on Halloween candy is to not settle for low-quality candy, but to indulge in a few treats that allow you to make every calorie count. Notice I said this is my HALLOWEEN candy philosophy….I don’t recommend eating sugary goodies everyday of the year. Melt half the chocolate either in a double boiler (the safer method) or in the microwave (the more dangerous, but easier/lazier method). Distribute the melted chocolate into the 12 muffin tins only barely filling the bottom of each cup. If the chocolate does not lie flat, drop the pan repeatedly on the counter, and it will flatten and smooth itself out. Place the pan in the freezer for 15 minutes. In the meantime, whip the peanut butter, butter, and confectioner’s sugar together with a hand mixer until mixed and light. Taste it and make sure the sweetness is to your liking. Place small tablespoons of peanut butter into each cup, then drop the pan repeatedly on the counter again, so the peanut butter layer is flattened out. Place in the freezer for 15 minutes. Melt the last 1/2lb of chocolate, and portion small spoonfuls of chocolate into the cups, one cup at a time, immediately dropping the pan repeatedly on the counter to flatten each cup. In my experience of making these, the chill from the peanut butter will harden up that top layer of chocolate very quickly, so you must flatten out the tops immediately after you pour the chocolate into each cup. Place the peanut butter cups in the freezer for 15 minutes to set the top layer of chocolate. You can either refrigerate them for a peanut butter cup with more bite, or leave them at room temperature for a softer, creamier bite. Just peel the wrapper off, and enjoy! And always remember to brush your teeth after eating sweets of any and all kinds! Posted on October 31, 2014 October 31, 2014 Categories Be HealthyTags candy, chocolate, diet, halloween, healthy, healthy candy, homemade, nutrition, reeses, sugar, trick or treatLeave a comment on Treat or Trick? Pro: People who eat chocolate are 37% less likely to develop heart disease than those who rarely eat it, according to researchers at the University of Cambridge. 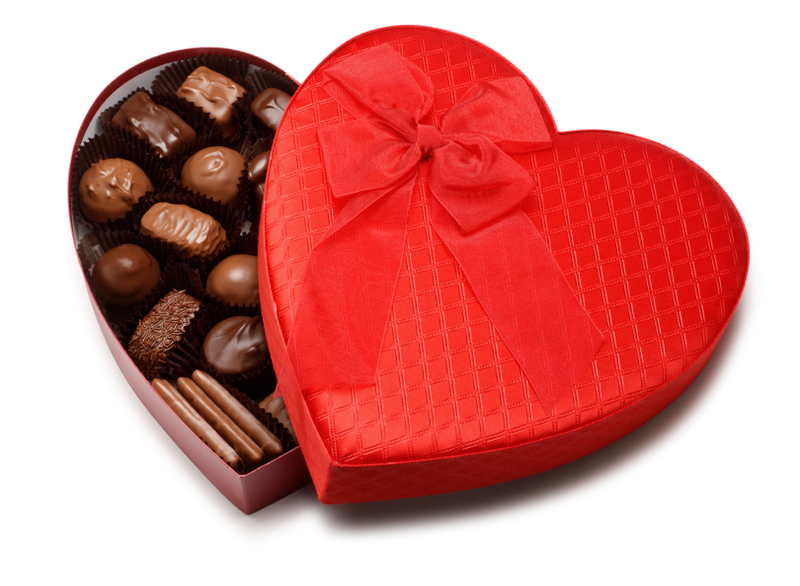 Chocolate contains Arginine, which releases a substance to dilate and relax arteries. Con: As you probably already know, chocolate has a lot of calories, which is not something you want to be collecting if you are trying to lose weight. Pro: Dark chocolate is made from roasted cocoa kernels, which are rich in antioxidants called flavenoids. Antioxidants work to help neutralize some of the harmful chemical reactions occurring in your body due to our exposure to pollutants. Con: Mood swings. Yes, we are still evaluating chocolate, not your girlfriend. The sugar in chocolate can cause swings in the levels of your Endorphins, which are brain chemicals that affect mood. Pro: With ten times less the amount of caffeine than that of the average serving of coffee, soda, or tea, chocolate is a better way to decrease fatigue. In small doses, caffeine can be beneficial in improving your fat metabolism, exercise endurance, and alertness. Con: As the saying goes, “too much of a good thing isn’t always a good thing.” Similar to the brain processes with addictive drugs, receptors eventually become desensitized to the mood-lifting effect of chocolate, causing you to need more and more of it to get the same endorphin-raising effects. Pro: The British Medical Journal found evidence showing that eating 100g of dark chocolate per day could reduce blood pressure by enough to decrease the risk of heart attack or stroke by 21%! Pro: After consuming chocolate, your body converts its Tryptophan to Seratonin in the brain, producing a mood-lifting effect. This is also said to lower stress levels and anxiety. Lucky for us Valentines Day-chocolate-eating-single people, we came out with more pro’s on our list than cons! Its really not a question of whether chocolate is healthy or not, but a matter of selecting the right kind of chocolate and in the right amount. The best kind of chocolate you can eat is dark chocolate, since it has the highest percentage of cocoa and the least amount of added sugar. Like Chia, cocoa was first discovered by the Aztecs, who believed it to increase wisdom and boost energy levels. Modern day chocolate usually contains additives like sugar or dairy. The closer you can get to the original cocoa powder of the Aztecs, the better. A good target-level is dark chocolate with 72% or more cocoa. White chocolate, containing no cocoa powder, provides none of the health benefits discussed above. Once you go dark, you never go back. All Valentines Day and “single people” commentary aside, dark chocolate is a guilt-free treat when consumed in moderation. Although the study done by the British Medical Journal was based on a 100g intake of dark chocolate a day, the more common recommendation is about 28g, or 1 ounce, per day. We now have 2 things to thank the Aztecs for!